How else can we describe and seek to fill the evidence-policy gap? There is a common story within science that describes a new era in politics: policymakers do not pay sufficient respect to expertise or attention to good quality evidence. Common solutions are supply side, to produce better evidence and communicate it more effectively, and demand side, to reform how governments process evidence and improve science literacy among policymakers. One part of this story emphasises wide academic agreement on how to assess evidence quality – with reference to scientific methods – and technical improvements to communication skills and organisational processes to close the evidence-policy gap. 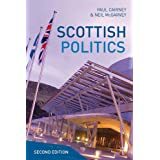 The other part emphasises policymakers irrationality or cynicism and political system dysfunction, producing ‘policy based evidence’ rather than ‘evidence based policy’. Policymakers have always combined ‘rational’ and ‘irrational’ cognitive shortcuts to evidence. No person or organisation has the ability to process all information, and cognitive efficiency is necessary to policy choice. It would be a mistake to assess evidence quality narrowly in relation to a hierarchy of research methods or exaggerate the extent to which academics adhere to this hierarchy. Policymakers identify problems and place certain demands on evidence: to help solve problems quickly, and maintain their image of governing competence, credibility, or political support. Policy relevance and availability are necessary gauges of quality, and an evidence-informed solution must be technically and politically feasible. Conclusion 1. Reframe supply side solutions on production and communication. Evidence syntheses should combine an inclusive assessment of research quality and policy relevance. Communication should relate to the framing of evidence to influence the ways in which policymakers (a) define problems, and (b) describe the political feasibility of solutions. Too many commentators declare policymaking failure in (explicit or implicit) comparison to an ideal-type, such as the policy cycle, in which (a) a core group of policymakers can make choices and process them in a straightforward evidence-informed way, through a series of orderly stages, and therefore (b) researchers know how and when to present evidence. 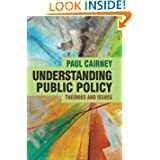 Policymaking is better understood as a complex environment or system over which the ‘centre’ has limited control. Policymakers must delegate most responsibilities to many other organisation and networks, and respond to socio-economic conditions and events out of their control. 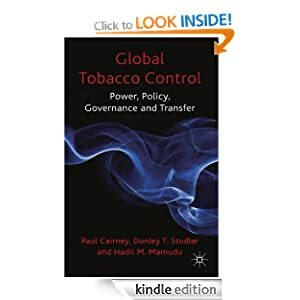 Consequently, the ‘action’ takes place in many different parts of the system, there are many different ‘rules of the game’, and policy often seems to ‘emerge’ locally without central direction. If we think of these dynamics as inevitable features of political systems, not dysfunctions to be solved, we can produce more pragmatic ways to encourage the use of evidence within them. Conclusion 2. Reframe demand side solutions to take systemic factors into account. Interventions to improve evidence processing or literacy in a small part of government will be ineffective if they do not take into account policymaking scale, and key factors such as the division of policymaking responsibilities across systems, pervasiveness of subsystems, and the limited coordinative capacity of a political system’s ‘centre’.